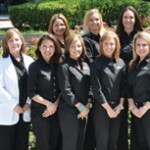 Dr. Amanda Juarez and her team at Houston Uptown Dentists provide comprehensive cosmetic dentistry and general dentistry services for patients of all ages. Preventive cleanings, attractive restorative work, and cosmetic services like porcelain veneers, porcelain crowns, and teeth whitening are just a few of the many customized solutions offered. In October of 2013, Dr. Juarez sought the services of a distinguished dental consulting group to help take her practice to the next level. After discussing her goals and customizing her consulting package, the consulting group introduced Dr. Juarez to their financing partner, The Business Backer, as a flexible option to finance her package. Working with her Business Backer Advisor, Dr. Juarez was funded for her consulting program in less than two business days and had an affordable payback plan in place. Nine months later while working with her consulting partners, Dr. Juarez identified her Sleep Apnea program as a key differentiator and growing area of her practice. As one of the leading practitioners of oral appliance therapy for Obstructive Sleep Apnea in the Houston area and with more patients seeking her help for this condition, Dr. Juarez decided to expand this program and wanted to act quickly. “Knowing I needed to act fast to help my patients suffering from this condition and remembering the quick funding and great customer service I received from The Business Backer, they were my first thought,” said Dr. Juarez. The Business Backer evaluated Dr. Juarez for another funding and determined the best solution for her practice was an option from a partner funding company. The partner company could provide longer terms, an excellent rate, and was an overall better fit for her needs. Within one week of her request, Dr. Juarez received the capital needed. “The Business Backer went above and beyond to find the best option for me. Working with them is a seamless, easy process, saving me time and headache,” said Dr. Juarez. The Business Backer’s ability to find Dr. Juarez the most optimal solutions and provide funding on her schedule allowed her to immediately get started on projects to help expand her practice. Dr. Juarez and Houston Uptown Dentists continue to grow and thrive and more people suffering from sleep apnea will be getting the help they need. When she needs additional financing, she knows The Business Backer will be there to help.